Far from the tranquility of Walden Pond, Henry David Thoreau confronts the chilling reality of an epidemic. . .as well as cold-blooded murder. The winter of 1847 has brought a consumption epidemic which is devastating the village of Plumford, Massachusetts. In an atmosphere of increasing hysteria and superstition, country doctor Adam Walker and philosopher Henry David Thoreau seem the only voices of reason. The winter also brings two visitors to Plumford. Solomon Wiley hails from Rhode Island and offers his services as a vampyre hunter, insisting that the scourge is supernatural in origin. At the same time, Adam's cousin Julia has returned home from France, mysteriously without her new husband. When a former student of Thoreau's is found mutilated and drained of blood in the woods, Wiley insists that a legendary Indian vampyre has arisen. Dismissing the blustering fearmonger, Thoreau and Adam follow clues to the backstage world of a Boston theater, the smoky decadence of an opium den, and an Indian burial ground. Both men will need to keep their wits about them--or risk ending up in coffins of their own. . .
B. 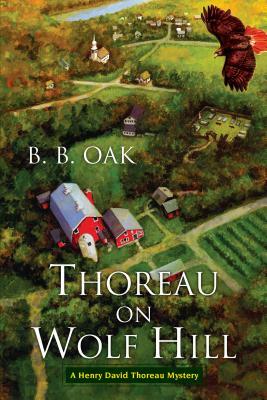 B. Oak is the pen name of Beth and Ben Oak, who met in a literature course at Boston University and have been enthralled with Henry David Thoreau (and each other) ever since. They are members of The Thoreau Society and Old Sturbridge Village, a living museum which recreates life in rural New England and served as the model for the book’s fictional town of Plumford.